Water restrictions have changed the way we look at municipal water. Unlimited has become limited and has triggered the requirement for alternative water sources. 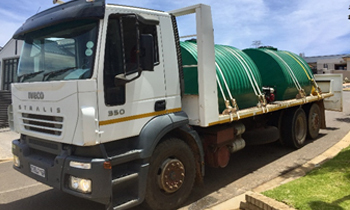 Bulk water delivery provides a reliable alternative water source to restricted or interrupted municipal water supply, allowing you to access water when it is required, in volumes that are required and to use the water for any application. 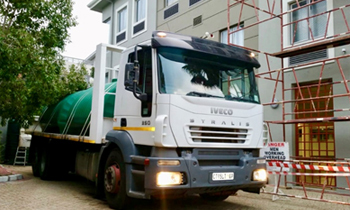 Waterdrop is the original Cape Town bulk water delivery company and we have perfected the delivery of bulk water to provide customers with access to pristine clean and clear water and the best customer service. 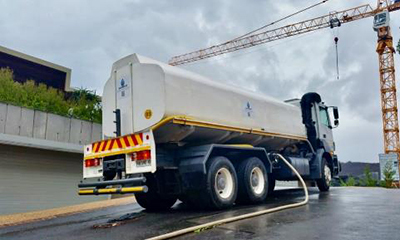 We deliver bulk water in various size tanker vehicles to all areas in the greater Cape Town. 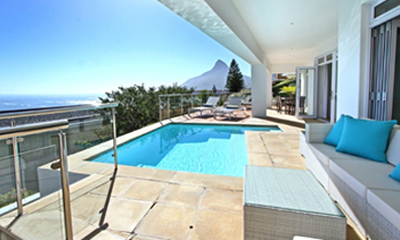 As home owner you may have investments in assets such a swimming pool, garden, koi pond or recreational equipment that you need to maintain despite the current water restrictions. You may also need water for a new swimming pool, new landscaping, construction, house renovation or other once-off project. Purchasing bulk water provides you with access to unrestricted water that, for example, allow you to run your sprinkler system, fill your pool and use water in and around the house for any daily or once off application. 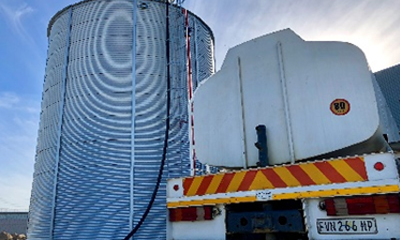 Ordering and receiving bulk water is not something home owners do every day and we will assist you throughout the process with decisions such as calculating the right volume of water and planning the storage and receiving of the water. We will also keep you informed throughout the entire delivery process. Your water requirements are in good hands. The City of Cape Town continue to encourage businesses to save water by reducing water usage and making use of alternative water sources. Some industries with large once of water requirements are still restricted by municipal water supply. Business also have an increasing need to address the risk of municipal water supply interruption or water shedding. Waterdrop provides businesses with an alternative end-to-end bulk water supply chain. Our goal is to establish long lasting relationships with our customers and provide you with a total water solution for your once off project or set up a replenishment service that will ensure you always have access to enough water when you need it. 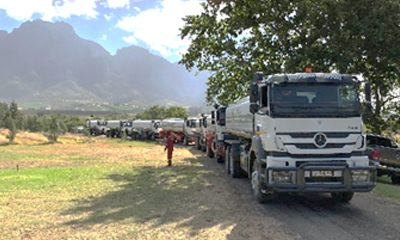 We approach all new or large corporate water deliveries as a project and through joint planning ensure we achieve your requirements and with the right procedures and controls ensure we execute to the plan. .
Our primary water sources are boreholes on farms in the Paarl and Franschhoek area. These catchment areas are renowned for their abundant groundwater due to the local climate and surrounding mountains acting as funnels. We can also source desalinated water and would select the water source based on the delivery area, application or customer requirement. We guarantee that you will receive pristine, clean, crystal clear water. The water is tested on a regular basis and we will gladly supply you with our latest certificate of analysis. The water is perfect for all outdoor applications such as swimming pools, fish ponds and gardens as well as for indoor applications such as cleaning, washing and sanitation. We can supply water that meet the SANS 241:2015 drinking water standard. Customers should however have filtration in place to ensure that water stored in your tanks still meets drinking standards at time of consumption. Our mission is to listen to you, understand your specific requirements, support you to select the right volume and delivery solution and provide you with impeccable service that ensure you get value for your money. Our target is to establish long term relationships of trust and loyalty with our customers to make sure that we continuously improve our service to you as well as the ease of doing business with us. We have documented every step in the order to deliver process and our teams are constantly trained and measured to ensure we are on top of our game and customer service is a priority in every step. We will ensure that you are updated right through the delivery process so that you always know what the plan is and the status of your delivery. We make ordering and receiving of bulk water a convenient and consistent experience, by being flexible, having friendly and helpful staff and delivering on-time. Our service is truly different. We are not a plant hire or construction company that deliver water on the side. Bulk water delivery is our core business. We have delivered in excess of 12 million liters of water that range from delivering 5kl to residential customers to mega projects for commercial customers. We have the experience and depth to offer both a personalized and efficient water delivery service. Part of our mantra is to continuously improve and stay relevant. We achieve this by updating our operating procedures and training with learnings from the thousands of deliveries that we have performed. We also closely monitor the Cape Town water restrictions and DWS movements to understand the current reality and feature of water in our region . This ensures that we provide our customers with the best advice and service. Purchasing bulk water is a fairly new process to most Capetonians and as their water needs and sophistication change, so do we. Water restrictions and interpretation of water restrictions and bylaws is also ever changing and requires us to adjust with the times. There are a lot of variables that drive the volume and timing of ordering water. Some customers can plan far ahead, others have visibility of their requirement at the last minute. Those customers that can plan ahead want the benefit of efficiency and those that are reactive want the benefit of flexibility. We need to service both. 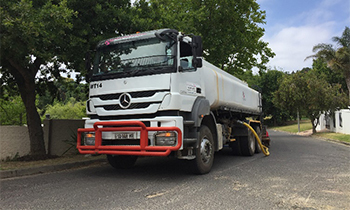 We believe that our almost unlimited access to water, our ability to scale our vehicle fleet, our systems, our people and our attention to detail and knowledge about the industry puts us in a position to be responsive to all customers needs and provide a reliable and consistent water delivery service. Ordering bulk water from Waterdrop is a quick and easy process. Customers are welcome to first request a formal quote, which will not only contain pricing, but also detail about the delivery process and delivery lead-times. Customers can place an order via our webpage, email or phone. We will provide you with an invoice that will contain the delivery date and time that we commit to. We will keep you informed throughout the process with a final update before your delivery. You will always know what is going on. We have all the couplings and fittings to connect with your water system. We pump water at 1000l/minute and our standard flexible hoses are 60m in length. Our vehicles are fitted with flow meters and customers are welcome to confirm the meter readings. Our pricing is based on the volume of water purchased and your location and our standard pricing range from R300/kl – R600/kl. Our minimum order quantity is 5,000l.